New signings Danny Williams and Aaron Bolger both made their Bluebirds debut in the Professional Under-23 Development League match against Coventry City. They were sent on during the second half after Cardiff City found themselves 3-0 down inside the first half an hour. The fight-back was impressive and Cardiff showed great spirit, but the Sky Blues held on to earn the away victory. Teenage striker Williams moved from the Bluebirds to the Bluebirds. He was transferred from Welsh League Haverfordwest County to City. 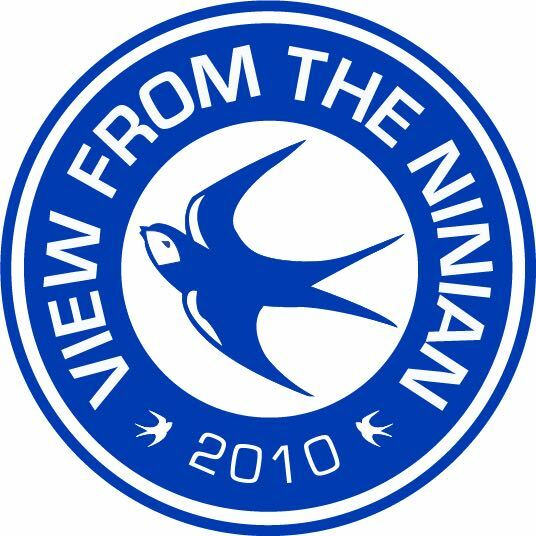 Both clubs are nicknamed the Bluebirds. Williams, aged 19, scored 18 Welsh League and cup goals this season. The former Wales Colleges youth captain played alongside former Swansea City goals ace for County earlier this season, who said the youngster could ‘make it to the top’. Swansea City were Williams’ first club, playing within their Academy before being released. He had been with Haverfordwest for two years. Bolger joined Cardiff on loan from League of Ireland club Shamrock Rovers, a box-to-box midfield player who is 18-years-old. He made 27 appearances, scoring one goal, including three matches in the Europa League. Bolger has good technique, excellent movement, tackles with venom and was played in a deep midfield role for Shamrock. Irish youth international Bolger and Williams both played their part in the Bluebirds recovery against Coventry which feels just short. Coventry City paid their respects to Cardiff City’s air crash victim Emiliano Sala and pilot David Ibbotson by laying a wreath outside the club’s stadium ahead of their Under-23s fixture. The teams observed a minute’s silence before kick-off. Cardiff included first team midfield player Loic Damour and Stuart O’Keefe, back with the Bluebirds following a loan spell at Plymouth Argyle. Two goals from Reise Allasari and a third from Charlie Wakefield put the visitors firmly in control with only 27 minutes gone. Allassari scored a quick-fire brace in the space of 11 minutes. His first came in the 11th minute when Jonny Ngandu won the ball back in the Cardiff half and found striker David Bremang, who slid in the young forward to coolly slot past goalkeeper Matthew Hall. Corey Addai, in the Coventry goal, then tipped a Rhys Healey free-kick onto a post. After 22 minutes Allassani won the ball back and then set off on a dazzling run, beating two players and then thumping the ball home from the edge of the penalty area. His effort flew into the bottom corner. The 23-year-old Allasari went close to completing a hat-trick four minutes later, but Hall was quickly off his line to save. A minute later winger Wakefield made it 3-0 with a shot from 25 yards. The young Bluebirds pulled a goal back after 56 minutes when Ben Margetson scored. Cardiff’s Lloyd Humphries pulled back a second in the last minute and at 3-2, with four minutes injury time added, it seemed there was an outside chance for the home team. It was Coventry, though, who finished on the front foot. Allassani and substitute Dexter Walters set up Wakefield, who was denied by an excellent Hall save. Coventry City: Addai; Hickman (Green 60), Drysdale, Thompson, McCallum; Ngandu (Williams 85), Eccles, Westbrooke; Allassani, Bremang (Walters 78), Wakefield. Cardiff City: Matthew Hall, Ryan Pryce (Ntazana Mayembe 79), Dan Martin, Lloyd Humphries, Ben Margetson, Joel Bagan, Laurence Wootton, Stuart O’Keefe (Danny Williams 65), Rhys Healey, Loic Damour (Aaron Bolger 71), Dan Griffiths. Subs: Danny Williams, Warren Burwood (gk), Aaron Bolger, Trystan Jones.